﻿ Woah, lots of rage lately around the used games hooplah. 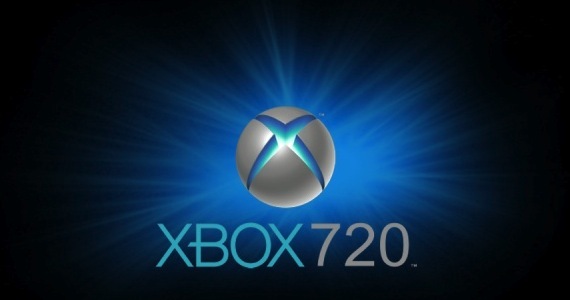 When it was leaked a few weeks ago that the so-named Xbox720 might not allow used games to played on the console in an effort to…do something. I think. I want to quickly cover some of the topics around this used games issue and what it’s such a hot topic right now, and then give my own little opinion. So to start -the devs–or publisher–we’ll go easy and the Video Game Industry (VGI). So the VGI has this perception that the used game market is cutting huge profits away from it — the general argument being that because of the availability of the used game at a slightly reduced price, players will buy the used game instead of the new game. On a used game sale, the VGI doesn’t see any of the money — only the retailer that sold the used copy sees the money. So, to the VGI they lost a sale, and all associated revenue with that sale. So, to combat this alleged loss of money, companies have been trying to leverage DRM to control used game sales–making certain content only available to first purchasers, making used game buyers pay a “nominal” fee for access to the whole game, or more recently ham-handed, making the console unable to run used games. From the gamers perspective, games are pretty damn expensive. Over on IndustryGamers, a poster makes the comment that not only does the used game business model provide gamers with cheaper games, it also allows those who buy new games all the time to sell old games and get money for new games. Ironically, it’s a bit of a self-sustaining cycle with damned-expensive games by enabling gamers to pay the damned-expensive prices. Now, I don’t want to tackle the pros/cons of each system, just generally speaking. For the VGI, the idea that every used game sale would be a first-sale purchase is a fallacy. They have no way of knowing what the conversion rates would be first-purchasers, so I don’t think they can use that an argument against used games. Conversely, gamers are a noisy bunch with a high sense of entitlement to just about everything, and a propensity to troll first, ask questions later. It’s not really all that hard to see why the VGI talks about used gaming in the same breathe as piracy. A gamer is amazingly methodical, logical, persistent, and implacable. The Gamers are irrational, whiny, arrogant, entitled, rageful little things who think they know everything about everything … ever. So what does it all boil down to? Well, the currently model isn’t working I think is the key here. I think that in a few years, as digital distribution increases, this will become less and less of a problem — you can’t re-sell a digital copy of the game (right now). Games are currently over-priced, and that in order to increase the scope of games (especially as we move to digital distribution models), the price point will need to be lowered, drastically. The VGI companies need to recognize that it’s impossible to estimate with any degree of certainty how much money they would have made in first-sale in the absence of the used game model. They need to provide incentive for first-sale purchases, not punishment for second-sale purchases. That’s a subtle but very important distinction. The gamers need to realize that publishers need to make money to continue to produce games. To do that, they need first sales (and obviously first sales have to exist to have second sales). No one is a bad guy in this picture. Personally – man I hope the new Xbox plays used games. Really.